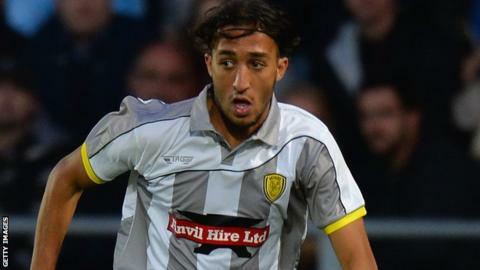 Championship club Queens Park Rangers have signed Nasser El Khayati from Burton Albion for an undisclosed fee. The 26-year-old Dutch forward has agreed a two-and-a-half-year deal with the west London side. El Khayati is reunited with R's head coach Jimmy Floyd Hasselbaink, who signed him last January when he was in charge of the Brewers. The former PSV Eindhoven trainee scored 11 goals in 44 appearances during his spell at the Pirelli Stadium. "I am very happy to work again with Jimmy," El Khayati told the club website. "He has been a big help for me on and off the pitch during my time here in England and I have developed as a player with him." El Khayati is QPR's third signing of the transfer window after goalkeeper Matt Ingram and striker Conor Washington joined.